Call me at Call / Email Owner o book now! 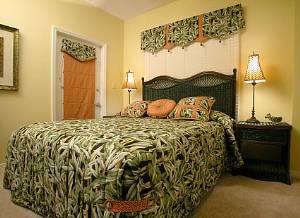 by custom bedding and window treatments. bedroom has a television and a DVD or VCR. room are adjacent to the outdoor pool. during your vacation to the Gulf Coast. Please call or email us to plan your fun. PAGE FOR A VIRTUAL TOUR OF OUR CONDO. We thoroughly enjoyed our week at the beach; the children especially had a blast hanging out on the beach and playing in the pool. The condo was perfectly accomodating and the location is fantastic. We definitely will be a return renter! bathrooms - one for each bedroom. could use. We will definitely be back. March 11, 2012 Reviewer: Kevin H.
stay here again without a doubt. Great view and location. Our family had a wonderful time in Tidewater 201. The condominium is beautiful and was everything we expected. We can't wait to go back! June 9, 2008 Reviewer: Anne Byars From: Vestavia, Al. We will be back to Tidewater 201. 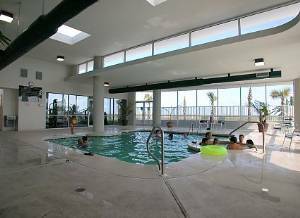 The grownups and teenagers were all happpy with the location and condo.We all felt at home the minute we arrived and really didn't want to leave.I really appreciated the friendly and ever present security. The weather also was spendid. we had a great time at your condo,your favorite places,were great thanks for the help. the kds and grandkids loved it. Thanks again for sharing with us.The view was great,lots of space. We had a great thankgiving week at the Tidewate 201. Great view from a great condo. We will visit again . Thanks so much for sharing your beautiful condo with me & my family. 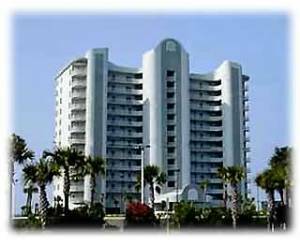 I took 2 of my own children & 2 nieces when we went to Orange Beach & your condo was exactly the right size for our extended family. We had everything we needed right there & the view off the balcony is gorgeous. We will definitely visit again next summer. 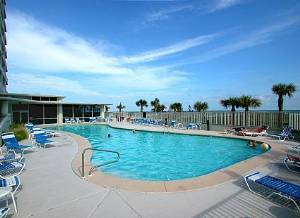 My wife and I stayed at Tidewater 201 for 9 weeks during the winter months of January, February and March, 2006. This was our fourth winter in Orange Beach and must say that it was one of the best. The decor of the condo is excellent. During our stay we had children visit us from Denver, Boston, and St. Louis at various times. 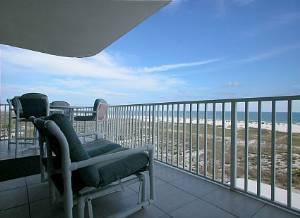 They loved the condo and the beach and became quite comfortable there. Perhaps too much so, but they all have jobs and had to leave, albiet reluctantly. I would be remiss if I didn't mention the view. It is wonderful and the photos I took from there were great. Susan and Justin responded to our every request and were fabulous to work with. We hope that we will be able to visit Tidewater 201 again in the future. The most gorgeous condo we have eer stayed in. The view was amazing. Our boys (ages 3 &5) just loved playing in the sand-looking for crabs. We hope to come back for Thanksgiving. Thank you for checking out our condo. 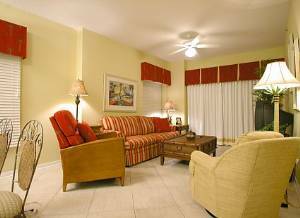 As new owners, we are committed to making your stay as pleasant as possible. Please let us know what we are doing well and the things that we could be doing better. 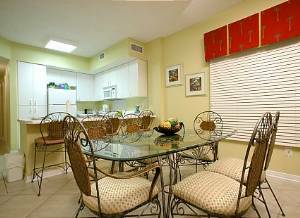 A wonderful condo and a great place to stay. We have had a great vacation. We enjoyed our stay here. The weather was perfect. The views from this condo are so pleasing. The condo is lovely. The furnishings and the color choices are great. We hope to return! We enjoyed our stay in this beautiful condo! The view from the balcony is gorgeous. The Goodlink family would like to say thank you for allowing us to stay in this lovely home-like place. We had 3 beautiful, sunny days. This is a beautiful condo. It is warm and comfortable. We do hope to return again. Condo rents Saturday to Saturday, May through September. Minimum three night stay remainder of year. $300 deposit due at the time of reservation. 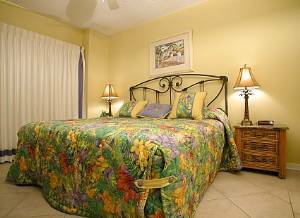 Spring 2012 Weekly Rate $1300-$1600 Summer 2012 Weekly Rate $1800-$2000 Add $125 cleaning/linen fee and 13% tax to all rates Add $100 per adult for each adult over four. Call for monthly rates.